New Delhi : After the Soyuz rocket launch into the orbit, a new satellite has joined Russia’s Glonass navigation. A Soyuz-2.1b rocket lifted off Saturday from the Plesetsk Cosmodrome in northern Russia. 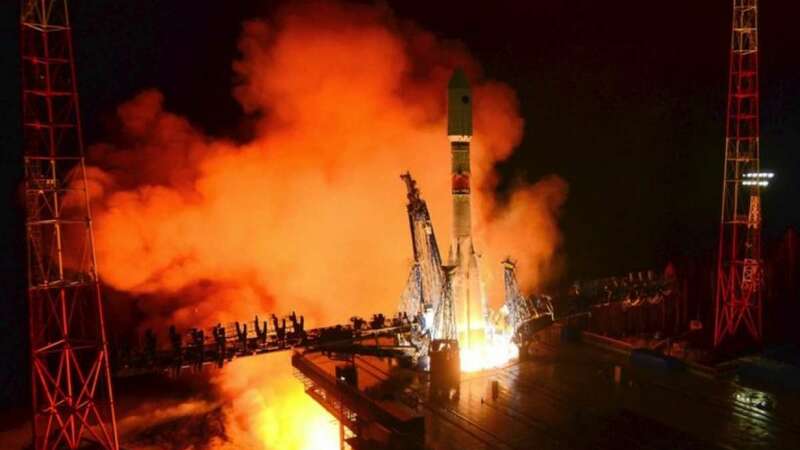 According to the Russian Defense Ministry report, the Glonass M navigation satellite lifted off aboard a Soyuz-2.1b rocket at 2017 GMT (4:17 p.m. EDT; 11:17 p.m. Moscow time) Saturday from the Plesetsk Cosmodrome in far northern Russia. The Soyuz launcher flew on an easterly heading from Plesetsk, a military launch base around 500 miles (800 kilometers) north of Moscow. The launch was held under the supervision of Russian troops. The four kerosene-fueled strap of rocket jettisoned normally around two minutes into the mission, followed less than three minutes later by the separation of the Soyuz core stage. A third stage RD-0124 engine ignited to propel the Glonass M satellite and its Fregat space tug on a preliminary trajectory, and the Fregat’s main engine took over for three firings. After around three-and-a-half hours of launching, the Fregat stage injected the navigation payload in a near-circular orbit at an altitude of more than 11,900 miles (19,100 kilometers) and an inclination of 64.8 degrees, according to publicly-released U.S. military tracking data. ISS Reshetnev, the Glonass M satellite’s manufacturer in Zheleznogorsk, Russia, said that the spacecraft stabilized itself in orbit after separation from the Fregat upper stage, and deployed its power-generating solar panels. The successful launch marked the second Soyuz rocket flight since a booster failure cut short an Oct. 11 Soyuz launch carrying a Russian cosmonaut and NASA astronaut to the International Space Station. Commander Alexey Ovchinin and U.S. flight engineer Nick Hague safely landed in Kazakhstan after the rocket malfunction. Russian investigators traced the cause of the failure to a “deformed” sensor in the separation system for the Soyuz rocket’s four first stage boosters. The next station crew is due for launch Dec. 3, and a series of unpiloted Soyuz launches are planned before then. A Soyuz rocket successfully launched from Plesetsk with a Russian military surveillance satellite Oct. 25, and two more Soyuz launches are scheduled this month from French Guiana with a European weather satellite, and a mission Nov. 16 from the Baikonur Cosmodrome in Kazakhstan hauling a Progress freighter to the space station. The 3,100-pound (1,400-kilogram) Glonass M satellite launched designated No. 57, targeted Plane 2 of the Glonass constellation. The Glonass satellites are spread in three orbital planes, or pathways, around Earth, each with eight spacecraft. The newest member of the Glonass satellite fleet will likely replace an aging navigation craft launched in December 2006. The Glonass M-series of satellites have design lifetimes of seven years. The Glonass network is the Russian analog to the U.S. Air Force’s Global Positioning System providing worldwide navigation and timing services. As of Monday, the Glonass fleet consisted of 24 operational satellites, one spacecraft undergoing in-orbit maintenance, one satellite in flight testing, and the new navigation station delivered to orbit Saturday still in post-launch commissioning, according to an official Russian website listing the status of the Glonass system. The launch Saturday was the second deployment of a Glonass satellite this year, following a previous Soyuz launch from the Plesetsk Cosmodrome in June. The Russian Defence Ministry renamed the satellite Kosmos 2529 after the launch, keeping with the naming convention for the country’s military payloads.